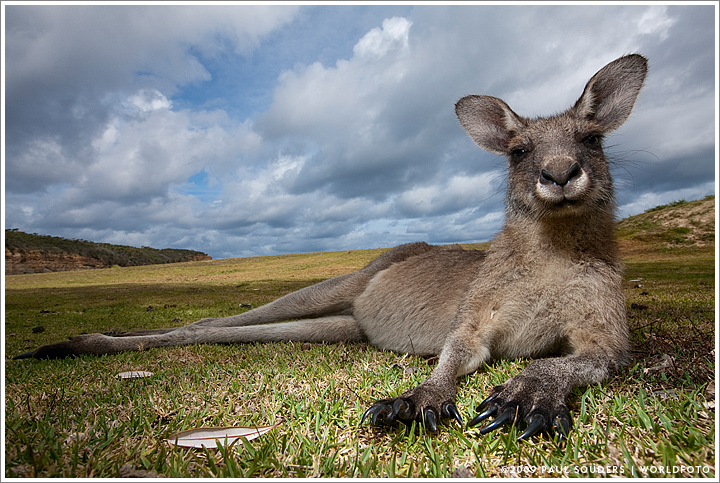 An Eastern Gray Kangaroo (Macropus giganteus) reclines on beach grass in Australia’s Murramarang National Park. Photographed February 13, 2008 with a Canon EOS-1Ds III camera and 16-35mm f/2.8 lens. This entry was posted on Wednesday, February 13th, 2008 at 7:37 am. It is filed under On the Road and tagged with Australia, Kangaroo, Oceania, Wildlife. You can follow any responses to this entry through the RSS 2.0 feed.